| New York, NY - August 2017 | WG Design Studio created two new vinyl coated textile designs for Wolf-Gordon’s Performance Upholstery 02 collection. Barras, named after a Glasgow, Scotland-based marketplace, is printed with a robust, weathered-linen look. 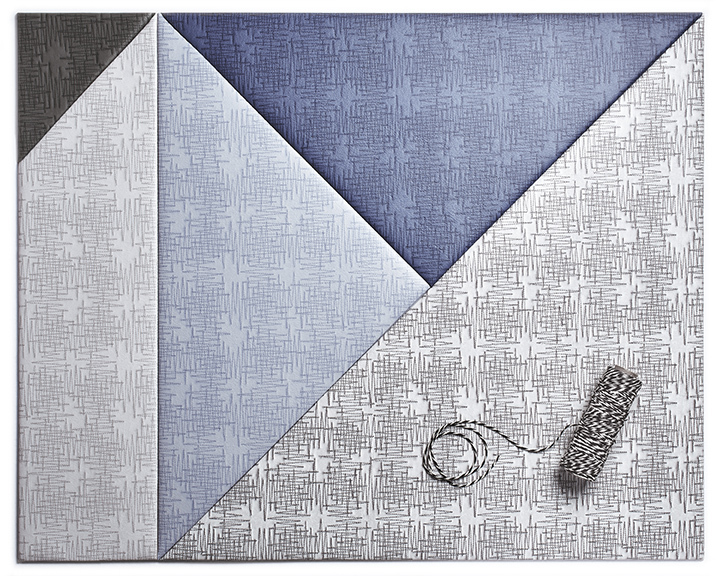 Zig Zag fools the eye with faux stitching—complete with realistic shadows—for a convincing 3-dimensional effect. The color scheme for Barras is inspired by a natural palette, while Zig Zag’s colorways include several neutral tones and whimsical shades taken straight from a box of crayons. Both are bleach-cleanable, heavy-duty materials with excellent ratings for abrasion resistance, colorfastness, and coating adhesion—the ability for the vinyl and poly/cotton backing to stay bonded together. Barras and Zig Zag are each available in 13 different hues. Performance Upholstery 02 will be on display at NeoCon® 2017 in Wolf-Gordon’s 10th floor showroom (#10-161). The company will also showcase, Folio, its 6th annual sponsored installation on the Main Floor of The Mart during NeoCon.